Recently, master classes on manufacturingSoft toys, various handicrafts, little animals and gifts are very popular. 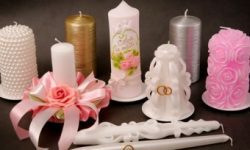 Craft items can be practical from all improvised items, most importantly, a little imagination and a desire to create something unusual. If you have a sea of ​​desire, but with a fantasyWorse, then let's start tinkering together. For example, let's talk about how to make your own horse with a variety of materials. Perhaps the tips that will be given below will lead you to your own interesting idea. 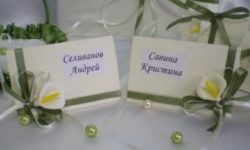 Begin training with the simplest products andMaterials, so now we will make a horse out of paper, and for its decoration we will need buttons, as well as glue, scissors and a little wire (can be replaced with a line or strong threads). Then, in the button of the desired size and color, thread the line, thread or wire, fix the limbs of the craft. You have a wonderful horse that will move the legs. You can decorate it at your discretion, making it very original and unique. The first stage is passed, now you know how to make a horse out of paper with your own hands, will continue to create. 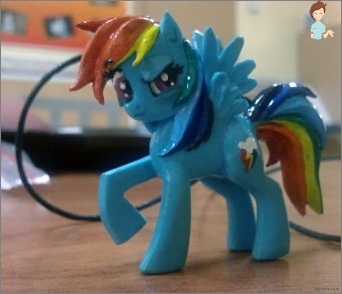 Probably, all parents of small fidgets in2-3 years of age it will be interesting to learn how to mold a horse from plasticine with your own hands. This process, by the way, is very fascinating and can for a long time interest both adults and kids. 2 eyes (you can buy special ones or get by with buttons, beads, etc.). The final stage is a ponytail of a horse. For him roll the sausage, which will be slightly wider to "Pope"An animal and zauzhatsya to the bottom. Everything, a beautiful horse from plasticine is ready, it can be made multi-colored, large or small, decorated with decorative elements. In general, everything is in your hands, create! Do you want to take your little fidgeting? 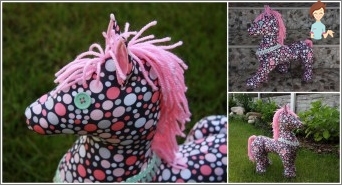 Make yourself a horse with plastic bottles. Rather, the container will need only one. And the work itself will not take much time, but the child will be in real enthusiasm and will be able to deal with the new toy for a long time, introducing himself as a cowboy or some other fairy-tale hero on horseback. 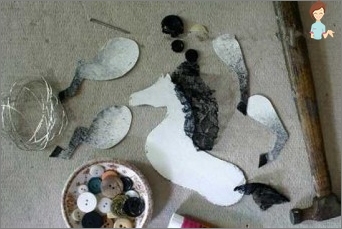 Scissors, glue and stick to fix the horse's head. In conclusion, fix the received head of the horse on a stick and everything is ready. Now your baby has a funny horse that you made with your own hands. Sewing a beautiful soft toy is not as difficult asSeems at first sight. You just need to stock up on the necessary materials and patience, then everything will turn out. What does not sew at home, the needlewoman, but now we'll talk about the horse. Material for printing (cotton wool, sintepon, old cloth, etc.). It is recommended to sew the legs of a horse through small buttons or beads, so they will hold better. Now you need to sew ears and eyes. 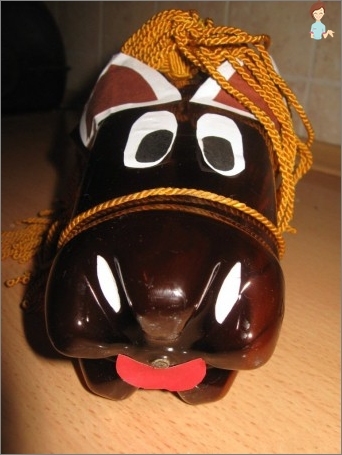 Everything, the horse is ready, if desired, decorate the product with beads, paettes and other decorative elements. You learned how to make a funny toy usingDifferent materials. If there were those who wondered from what else you can make a horse with your own hands, then there are lots of answers. 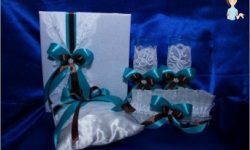 Beads, elastic bands, threads, cans, boxes for shoes and many other items will do. You can enumerate endlessly, everything is in your hands, create and be happy!